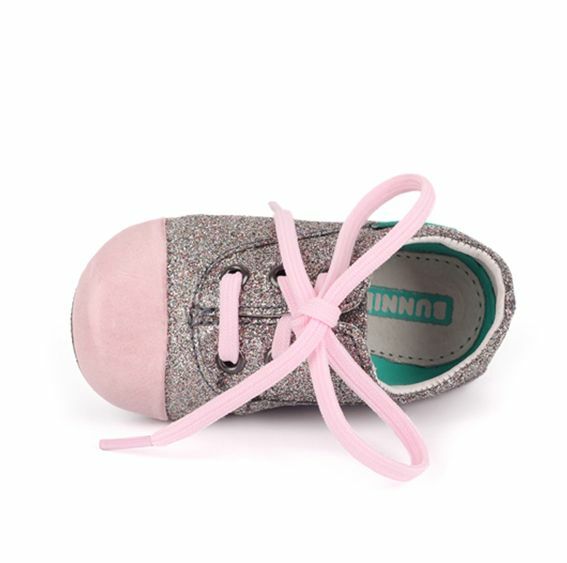 Zinnie Zacht Multi Colour. 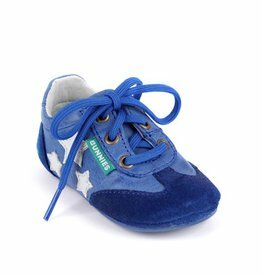 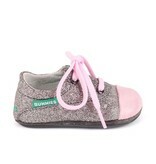 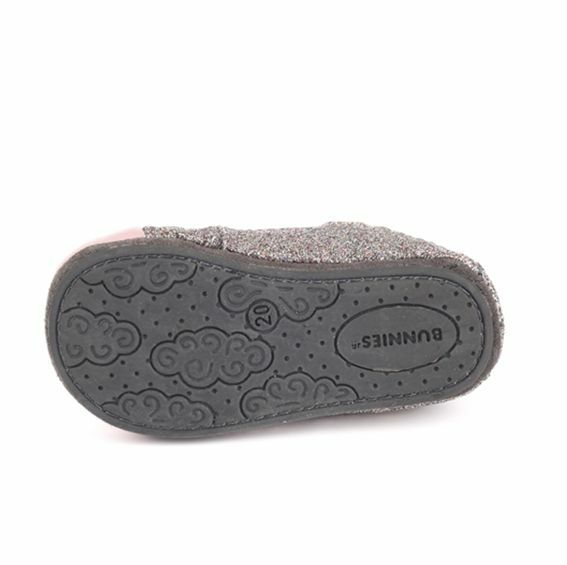 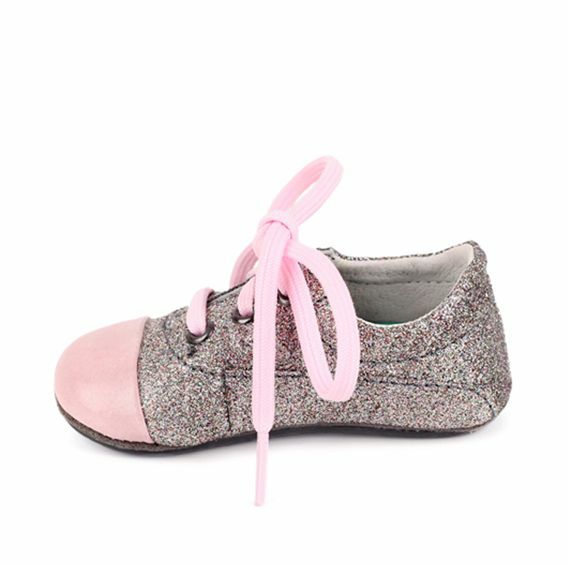 This baby girls soft shoe is made from leather with a sliver glitter coating. 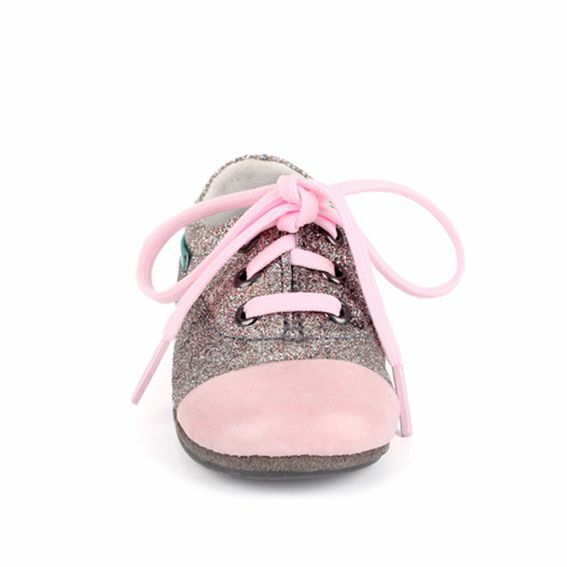 The shoe has a soft pink leather toe and pink laces.